1. Sauté the pork in oil for 10 minutes or until brown specks are visible in the meat. 2. Add ½ cup of water and bell pepper. Cover and simmer over low heat until pork is tender. 3. 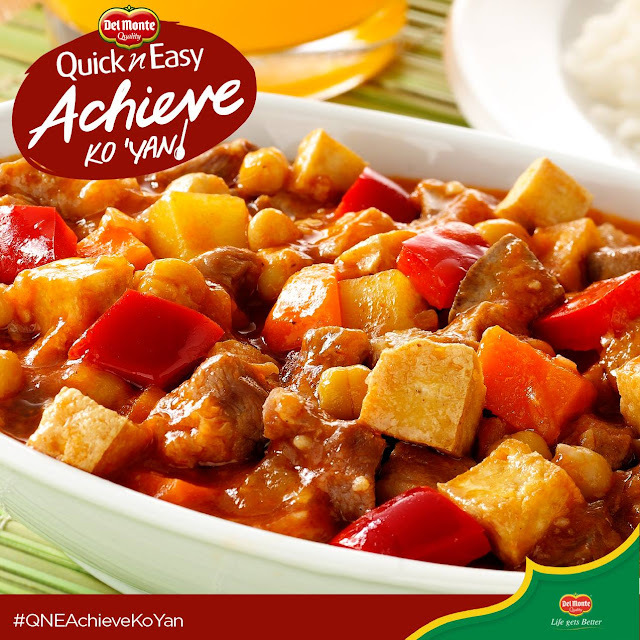 Add DEL MONTE Quick ’n Easy Menudo Sauce, pork liver, potatoes and garbanzos. Simmer for another 15 minutes. Serve.